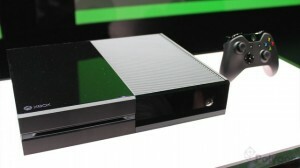 The new Xbox One console is also equipped with the Microsoft Kinect motion and voice capture and control system. It’s more advanced than the one for Xbox 360 as it can read up to six skeletons at once, can detect faces and expressions, works better in smaller rooms and is better able to detect small objects. Compared with PS4 and the Wii U, all three game consoles use the Blu-ray technology primarily because of its ability to store gigabytes of information. Among the three, Microsoft and Sony are now using the x86-based processors and GPUs and have a system RAM of 8GB while Nintendo is still using the PowerPC technology for its Wii U and only 2GB of RAM. For those curious about the price of the Xbox One, you’ll know it as the launching date nears. There’s no word when the launching date will be but it’s expected to be sometime during the holiday season.